Eight books I’m super-excited to see on shelves. As always, massive thanks to Debbie for curating the spreadsheet with a great lists of YA and MG releases in the UK. 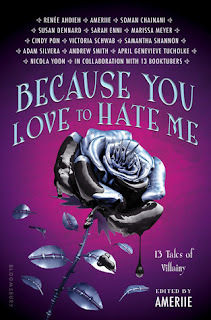 Because You Love To Hate Me edited by Ameriie (Bloomsbury) - Authors writing from prompts by BookTubers is an intriguing idea and it pays off with some outstanding stories from a great list of writers (this is one I’ve been lucky enough to read already.) 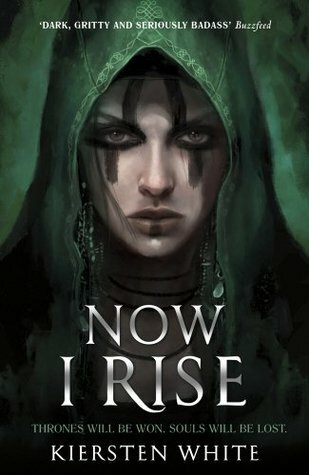 Highlights for me are the stories by Cindy Pon, Samantha Shannon, Susan Dennard and Soman Chainani (although Ameriie’s own story was fabulous too and I’d be excited to read more from her) but there’s enough of a variety in this collection that there should be something for all fans of fantasy and fairy tales. 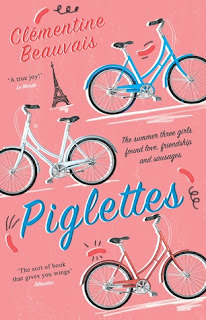 Piglettes by Clémentine Beauvais (Pushkin) – Clémentine’s MG series The Sesame Seade Mysteries is a stunning set of books with gorgeous language. 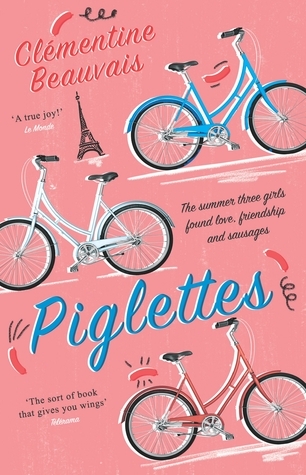 I’m really excited for this YA novel about three girls voted the ugliest girls in their school who set off on a summer road trip to Paris and find fame, friendship and happiness. 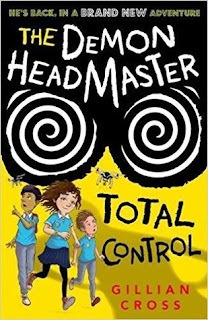 The Demon Headmaster: Total Control by Gillian Cross (OUP) – I was a huge fan of the Demon Headmaster when growing up – both the books and the TV series – and am fascinated to read the new one! Will it still be as good? Here’s hoping! 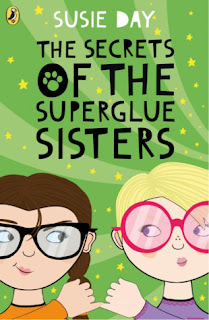 The Secrets of the Superglue Sisters by Susie Day (Puffin) – There are lots of MG authors I love, but most of them are writing action-based books. For realistic contemporaries there are only two auto-buy MG authors for me, Ruth Fitzgerald and Susie Day. The first two books in Susie’s spin-off series from her wonderful Pea’s Book quartet have been wonderful and I’m sure this will be just as amazing. 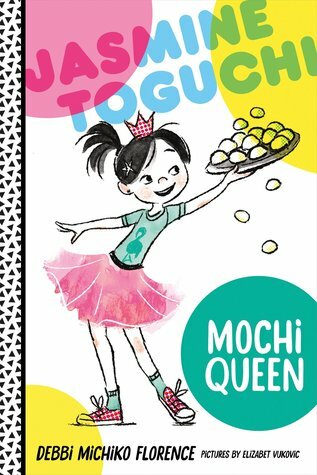 Jasmine Toguchi, Mochi Queen by Debbi Michiko Florence (Author) and Elizabet Vukovic (Illustrator) (Farrar, Straus and Giroux) - I think this is US only, but this chapter book about a Japanese-American heroine trying to be part of the family tradition by doing something normally limited to boys looks too utterly captivating to leave out! I will be checking out Foyles and Queen’s Park Books in the hope of finding an import. 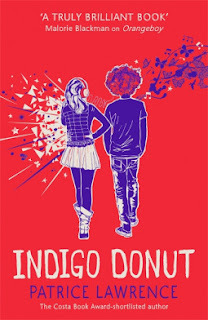 Indigo Donut by Patrice Lawrence (Hodder) – Patrice exploded onto the YA scene last year with her debut Orangeboy, which seems to have been shortlisted for nearly every award going and has won two of the biggest, the Waterstones Children’s Book Prize – Older Fiction category - and the YA Book Prize. She is an immense talent and her new book, about two teens who meet at sixth form and ‘discover who loves them, and who they can love back’, sounds fabulous. 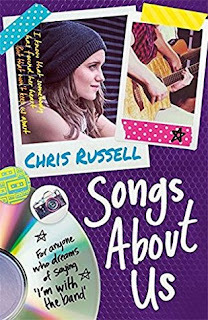 Songs About Us by Chris Russell (Hodder) – My very favourite author of all the brilliant ones writing #boybandlit, book one in this series was a stunning debut ending on a real cliffhanger. I’m so excited to see what happens to Charlie next! Now I Rise by Kiersten White (Corgi) - Kiersten’s previous book in The Conqueror's Sage, And I Darken, was sensationally good and I can’t wait to read more about Lada Dracul, perhaps the most compelling antihero I’ve read in years.